Before Europeans came to North America, Native people governed themselves and maintained diplomatic relations with one another. 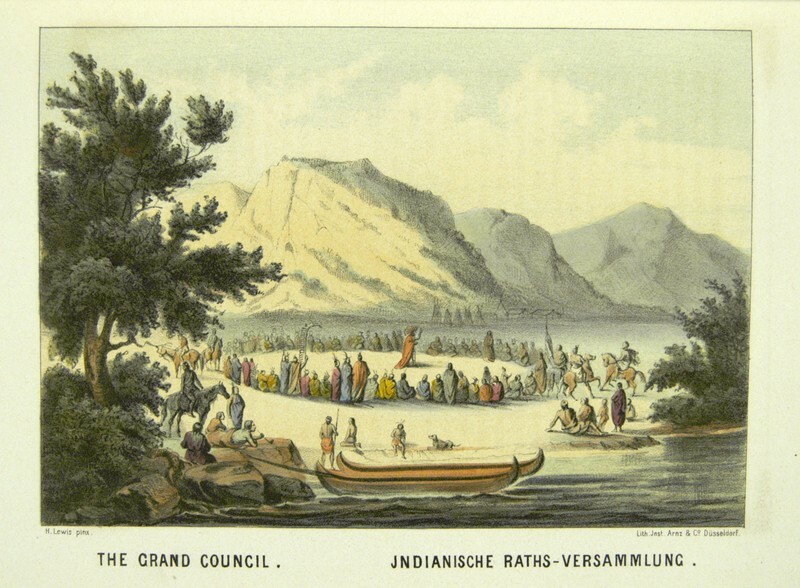 They were members of independent, or sovereign, nations that negotiated government-to-government agreements—like treaties—with one another over trade, hunting, and other issues of mutual concern. Tribes practiced diplomacy with one another to settle conflicts or permit entry into their homelands. Diplomatic relations were accompanied by strict protocols and thorough negotiations. In songs, dances, feasts, and speeches, past wrongs were set aside and hopes for future goodwill were expressed. Only then would discussions begin. Agreements were sometimes sanctified by ceremonies that created family connections. 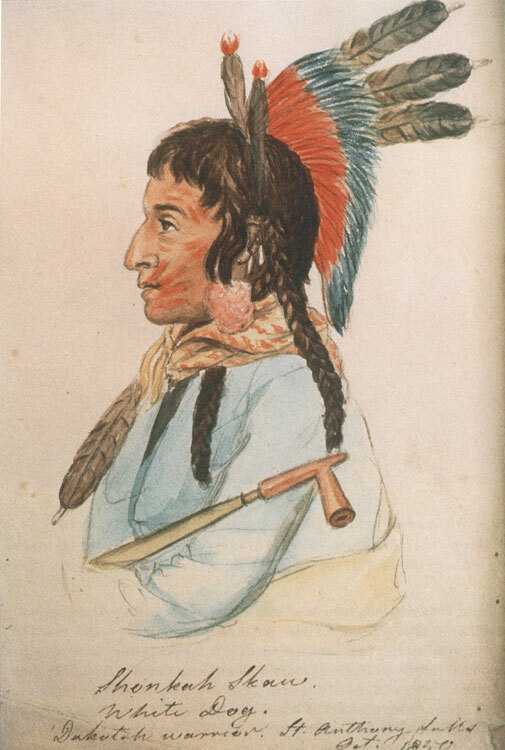 James Otto Lewis, Wa-Em-Boesh-Kaa, A Chippeway Chief, painted at the Treaty of Fon du Lac, 1826. | Courtesy Joseph F. Cullman 3rd Library of Natural History, Smithsonian Institution Libraries. 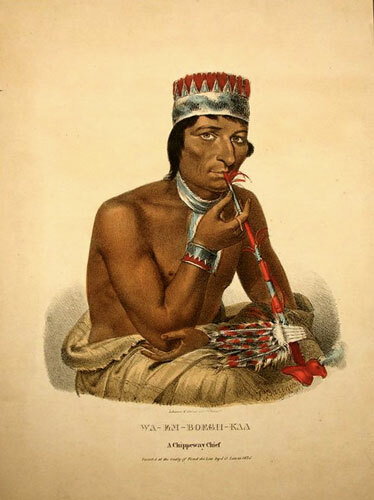 A signer of the 1851 Treaty of Mendota, the Mdewakanton Dakota leader Shoank’-a-ska, or White Dog, is shown holding a pipe in this sketch by a Swedish visitor to Minnesota Territory.